This popular silhouette of a boy reading was introduced by the Antioch Bookplate Company in the early 1940s, but was discontinued in the 1970s. We are pleased to be offering it again. 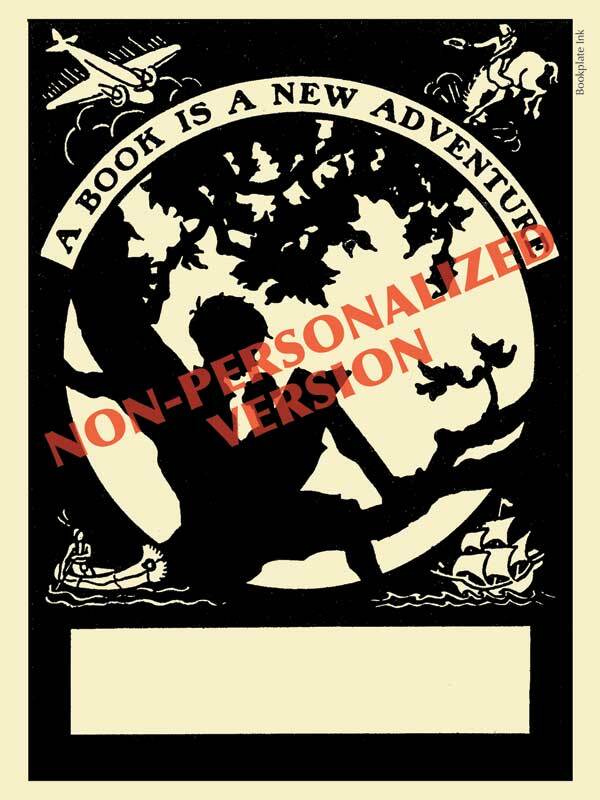 Artist Lebert Prether of Springfield, Ohio, was the designer and Antioch Bookplate Company founder Ernest Morgan wrote the wording “A book is a new adventure.” This version is available only with no text added. If you would like to have a name printed, please see our personalized version.